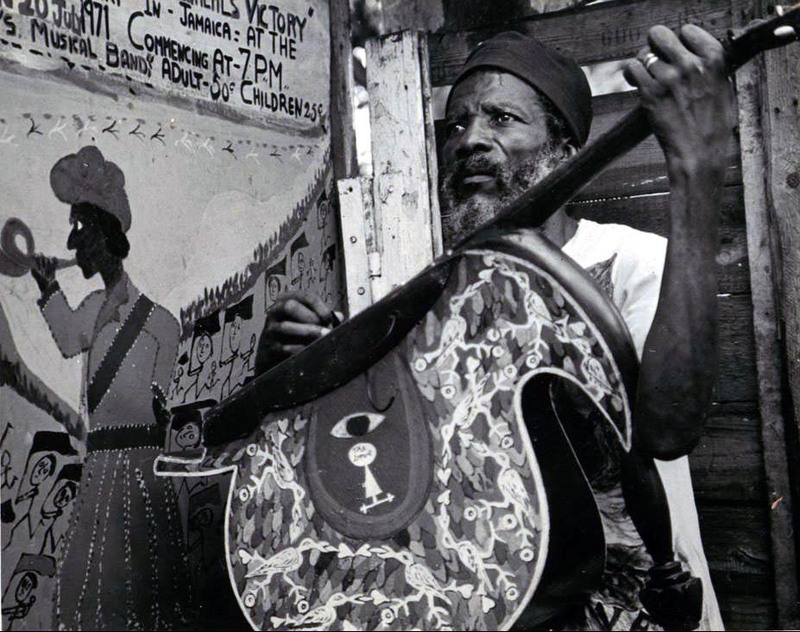 The city of Kingston is, in many ways, the crucible in which modern Jamaican culture is forged and it does no injustice to the cultural contributions of other parts of Jamaica, or the Jamaican Diaspora, to recognize its seminal role. Kingston is after all the birthplace of reggae, which has given Jamaica its global cultural visibility. By virtue of being Jamaica’s capital and largest population centre, Kingston is home to major cultural institutions and organizations, public and private, and generally provides a social and economic environment in which the arts can thrive. Given the fraught social dynamics that have shaped Kingston, the city also created an environment in which the arts had to thrive, as a key part of the population’s survival strategies. This exhibition is our contribution to the conversation about Kingston as a Creative City – a UNESCO designation the city received in 2015 for its role in music – but presented from the perspective of the visual arts. The initial exhibition brief was to explore the role of Kingston in the development of Jamaican art and conversely, to explore the role, actual and potential, of art in the development of Kingston. The exhibition was assigned to Assistant Curator Monique Barnett-Davidson, as her first solo-curated exhibition, and we could think of no one better, given her previous research, curatorial work, and publication on street art. We soon realized however that what we had originally planned was too big a subject for a single exhibition and we decided that the present exhibition would be the first of a two-part exhibition series, with the second part, which will presented in 2017, focusing on the built environment and the role of art in urban development and renewal. The Jamaican Master Painter Barrington Watson passed away last month. Here is part 2 of the two-part post based on Veerle Poupeye’s essay for the 2012 Barrington Watson retrospective catalogue – Part 1 can be found here. 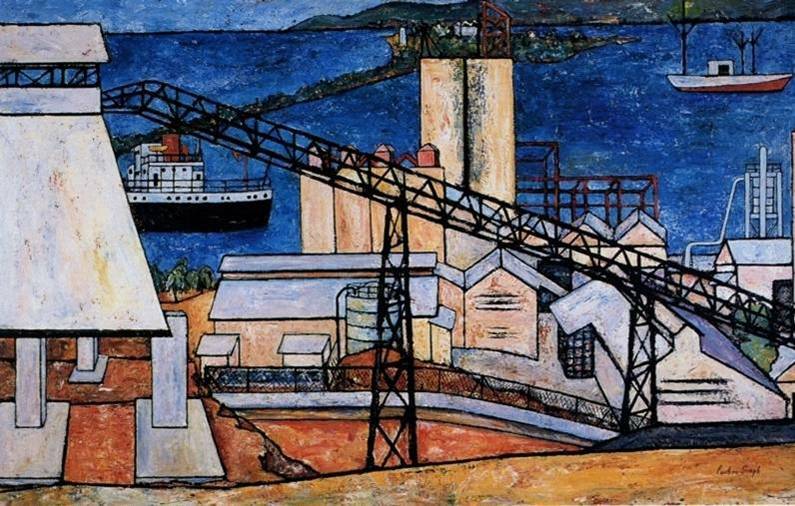 This essay places Barrington Watson in the context of post-Independence art. 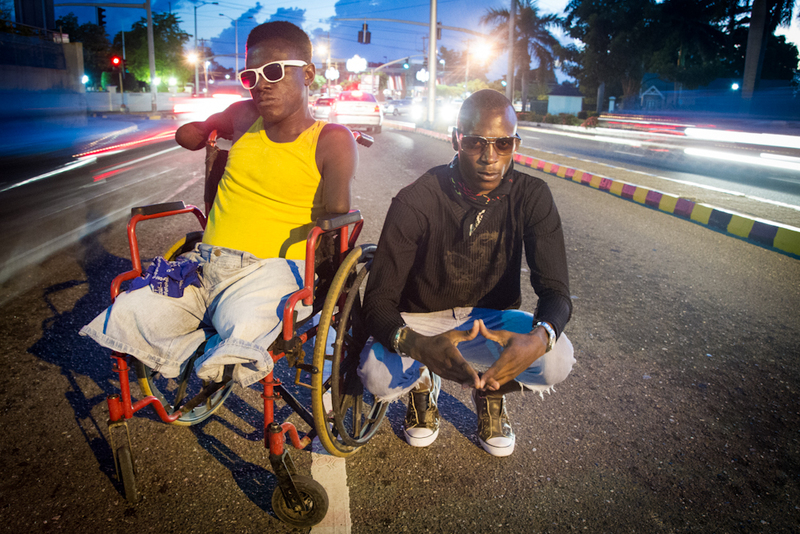 Barrington Watson holds a special place among the Independence generation. As an academic realist, Watson’s work is more accessible than that of his CJAA contemporaries, which certainly contributes to his local popularity. His subject matter, furthermore, generally conforms to the norms set by the nationalist school and includes genre and history scenes and landscapes. Watson is also a sought-after portraitist, who has produced many official portraits, among others of Jamaica’s Prime Ministers. He is also known for his nudes and erotica, the latter of which was new and quite provocative in mainstream Jamaican art of the 1970s. The substantive difference between Watson and his nationalist predecessors was, however, that he represented his subjects in the “grand manner” of Western academism, with sweeping, theatrical compositions on large canvases, classically posed figures, and virtuoso drawing and brushwork. Watson’s popular appeal and assertions of high academic artistic status may, at first glance, seem like a contradiction but a closer look reveals otherwise. Not surprisingly, Barrington Watson has been one of the main critics of the National Gallery of Jamaica’s promotion of Intuitive art. This came to a head while the exhibition Jamaican Art 1922-1982, which was curated by the National Gallery Director/Curator David Boxer and its former Deputy Director Vera Hyatt, toured in North America through the Smithsonian Institution Traveling Exhibition Service (SITES) from 1983 to 1985. The exhibition was positively received in North America, where it attracted approximately 117,000 visitors, but several critics expressed reservations about what they saw as the Eurocentricity of the mainstream. John Bentley Mays of the Globe and Mail of Toronto, for instance, wrote: “The most intriguing paintings and sculptures here, however, are not the polished Euro-Jamaican descendents of [Edna Manley’s] the Beadseller, but the home-spun, punchy pictures of the self-taught Intuitives” (11). Predictably, this did not sit well with some of the mainstream artists, Barrington Watson chief among them. The Jamaican Master Painter Barrington Watson passed away last month. Here is part I of the two-part post based on Veerle Poupeye’s essay for the 2012 Barrington Watson retrospective catalogue. This essay places Barrington Watson in the context of post-Independence art. Most persons familiar with the Jamaican art world will agree that Barrington Watson is one of Jamaica’s most popular and acclaimed artists. This is supported by the high market value of his work and the enthusiastic and loyal support he has garnered from major Jamaican art patrons and collectors. Watson has also received significant official recognition and was in 2006 bestowed the Order of Jamaica, the highest national honor ever given to a Jamaican visual artist other than Edna Manley, who held the Order of Merit. 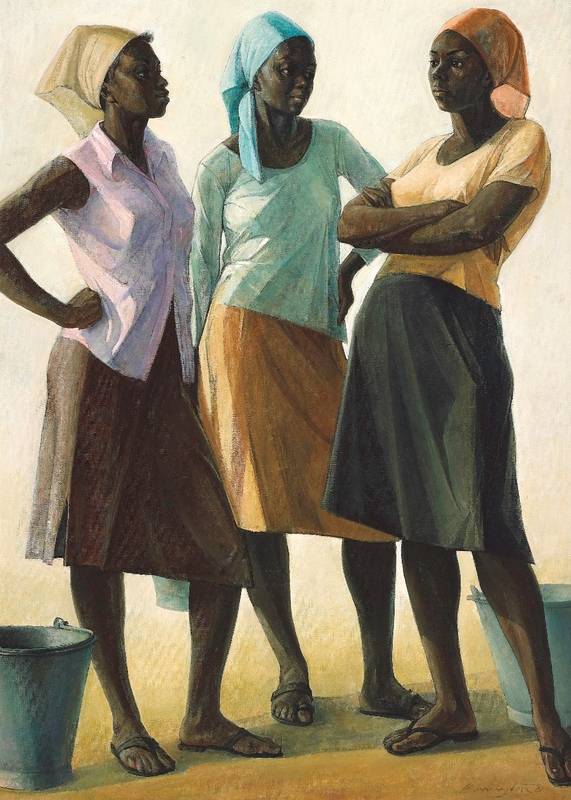 Watson’s appeal reaches across Jamaica’s social boundaries, beyond the social class that typically supports fine art, and masterpieces such as Mother and Child (1958) and Conversation (1981) are among the most popular works of art in the National Gallery collection. The question arises exactly why Barrington Watson’s work has such strong appeal. Other than its obvious artistic merit, there is his capacity to produce powerfully iconic and highly relatable images – Mother and Child (1958) and Conversation (1981) key among them. 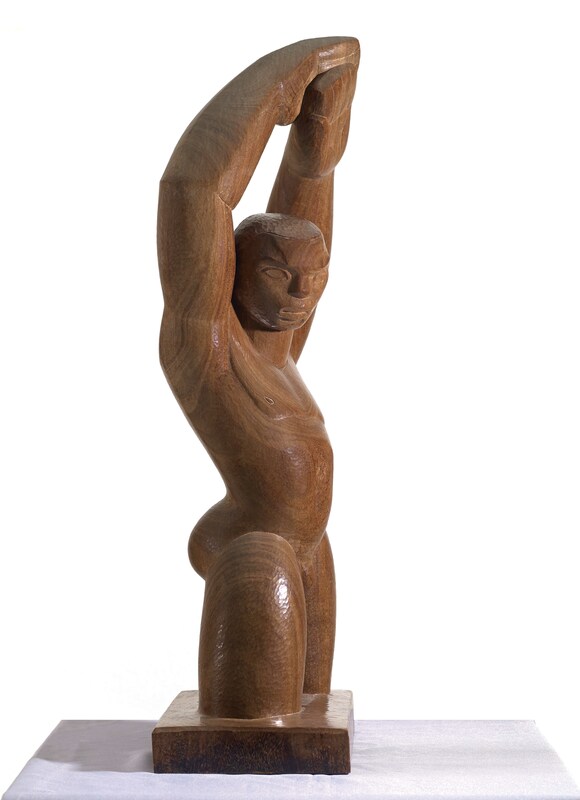 Even his less iconic work strongly appeals to Jamaican cultural sensibilities, however, and to gain fuller understanding of why this is so, it is necessary to see his work in its broader social and cultural context, particularly of the ideas about art and the artist that have emerged in postcolonial Jamaica. The years around Independence were, as the artist and critic Gloria Escoffery has argued, characterized by a combination of great ambition and sometimes naïve idealism. 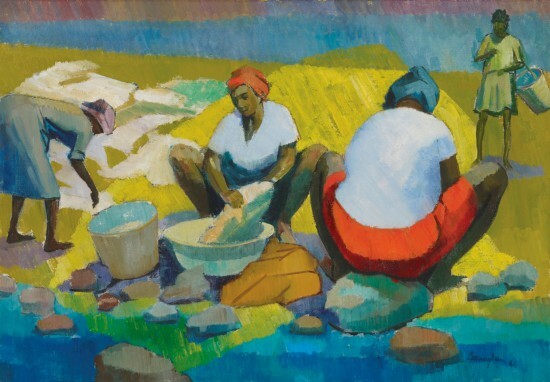 The period was marked by the advent of a new generation of artists, most of whom had studied abroad and returned to the island eager to contribute to the development of Jamaican art and to national development, generally. Arguably the three most influential among them were Karl Parboosingh, who had studied in Paris, New York and Mexico; Eugene Hyde, who had studied in California; and Barrington Watson, who had studied in London and several continental European academies. 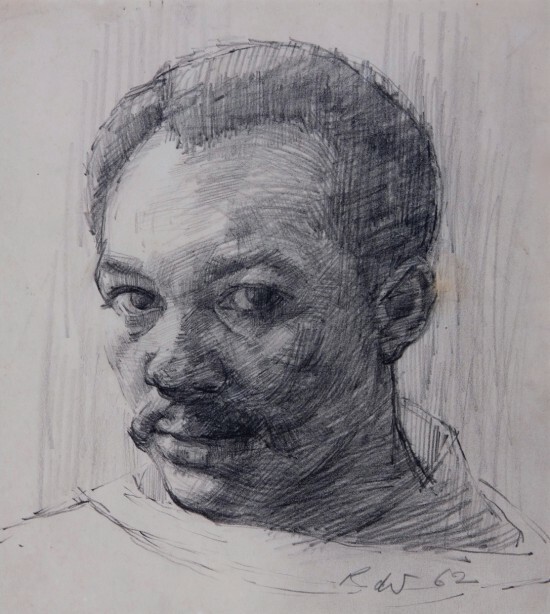 They were also pioneers where they studied: Watson had been among the first black students at the Royal College of Art – Frank Bowling from Guyana was another. These young artists returned home with new ideas about art – high modernist in the case of Parboosingh and Hyde and academic-realist in the case of Watson – and had an ambitious, cosmopolitan outlook which challenged the more insular tenets of earlier nationalist art. Their subject matter was still recognizably Jamaican but they combined this with formal experimentation, a preference for monumental scale that transcended the modest “living room formats” used by the nationalist school, and a more critical and demanding attitude. In what is, at least for now, our final post on the Explorations IV: Masculinities exhibition, which continues until March 5, 2016, we present an excerpt of the catalogue introduction written by Veerle Poupeye, the NGJ’s Executive Director. Masculinities was curated by Senior Curator O’Neil Lawrence. Masculinities is the fourth in the National Gallery’s Explorations series of exhibitions, which has thus far featured Natural Histories (2013), Religion and Spirituality (2013-14) and, most recently, Seven Women Artists (2015). 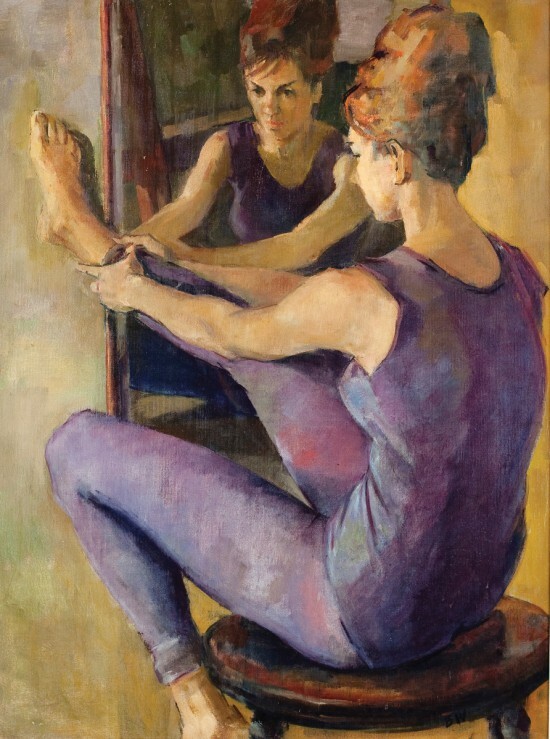 Smaller versions of the latter two exhibitions have also been shown at National Gallery West in Montego Bay, where Seven Women Artists is presently on view. The Explorations series, which is open-ended by design, interrogates the history of art and culture of Jamaica, by examining what we consider to be its big themes and issues. The series invites our audiences to be part of that process, by asking questions and by encouraging debate rather than to prescribe answers. For each Explorations exhibition the curatorial approach is tailored to the subject, as this allows our team to experiment with various curatorial models and strategies for audience engagement and to develop our curatorial capacity and vision in the process. The lessons learned in the process help us with rethinking how we develop and exhibit our permanent collections and also inform our approach to other exhibitions. The general curatorial model used for the Explorations series is conversational and whether curated by a single curator or by a team, the conceptualization, selection and design of each exhibition involves a significant amount of brainstorming with our curatorial department and other stakeholders. In doing so, we aim to provide and invite multiple perspectives and we do hope that the conversational spirit of this curatorial process carries over into the reception of the exhibitions. 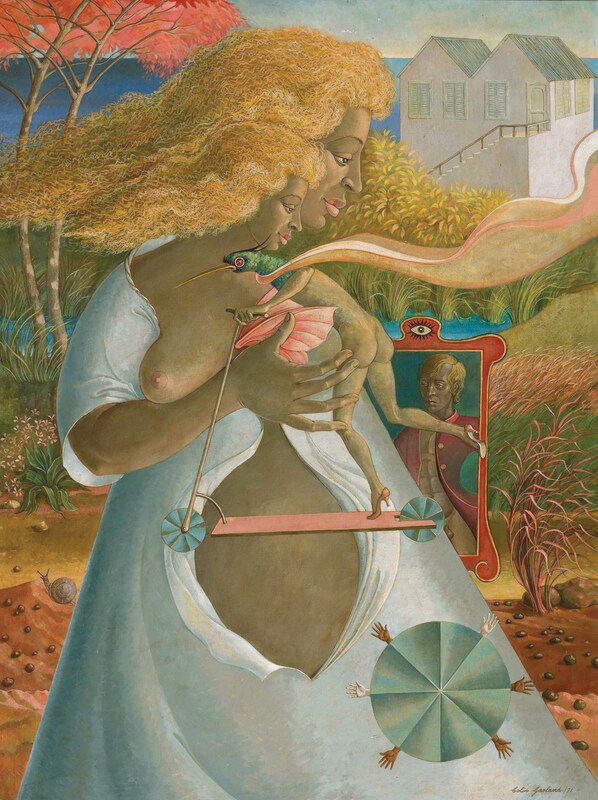 Seven Women Artists was the first Explorations exhibition to focus on gender (although gender was a consideration in the Religion and Spirituality exhibition) and looked at the debates and social dynamics that surround women’s art in the Jamaican context. Masculinities takes a different approach and explores how masculinities – and the use of the plural is deliberate – have been represented in Jamaican art and visual culture, from the Plantation era to the present. In doing so, the exhibition also explores how masculine roles and identities, and the perceptions that surround them, have evolved in the Jamaican context, on their own terms and in relation to female roles and identities. Conceptions of masculinity vary significantly over time, place and socio-cultural context, in ways that defy fixed definitions and simplistic male-female binaries. Even what is considered as normative masculinity in a particular context has far more complexity than is usually acknowledged. Masculinity is thus not a precarious but clearly defined status, as the first quote in the previous paragraph may suggest, but is subject to variable and competing interpretations – and in the postcolonial Caribbean these contrary dynamics are amplified by the histories of race and class.